The Curious Wavefunction: Lindau 2011: What do you want me to translate now? Lindau 2011: What do you want me to translate now? It has nothing to do directly with defending our country except to make it worth defending. In saying these words, Wilson was appealing to the heart of what makes any country great. It is not the fancy cars, the shiny malls, the great financial houses and the cornucopia of industrial food that truly contribute to a country's progress. At one point or another in history, Athens, Florence, Takshashila, Baghdad, Oxford, Gottingen, Copenhagen and Philadelphia were primarily known not for their wealth and the splendor of their monuments but for the unmatched wealth of ideas about science, art, economics, politics, freedom and human dignity that their citizens generated. These ideas are now the bedrock of much of modern civilization. Many of these ideas were solutions to practical problems, but most only sought to explore and push the boundaries of human creativity, curiosity, passion and tolerance. The creators and dreamers of these ideas were less concerned about their practical application and more concerned about their ability to answer questions about human origins and nature, our place in the cosmos and our relationship to other human beings. Why am I retelling the story of Robert Wilson? Because I believe it strikes at the heart of what these days is fashionably called "translational research". Just like physics research was being viewed through the lens of national defense in the 60s, basic biomedical studies run the risk of being viewed through the lens of translational research in the 2010s. The approach is clearly not popular among leading researchers. 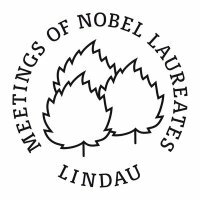 In 2009, Nobel Laureate Martin Chalfie gave a talk at Lindau in which he described the great satisfaction he had had from doing non-translational research (in fact Chalifie was going to give a talk about this very topic this year at Lindau but unfortunately could not attend). Chalfie is not alone; as just another example, a few months ago I attended a lecture by another Nobel Laureate, Thomas Steitz, also at Lindau this year. Steitz who won the prize for his exploration of the structure and function of the ribosome proudly announced at the beginning of the talk that "the only kind of translation I have worked on is that orchestrated by the ribosome". So what is translational research? Many definitions seem to abound and Wikipedia seems to be as good a guide as any: "Translational research is a way of thinking about and conducting scientific research to make the results of research applicable to the population under study and is practised in the natural and biological, behavioural, and social sciences". The goal of translational research especially in medicine seems to transform basic biomedical research discoveries from "bench to bedside". In the last few years this kind of thinking has has swamped the public discourse on science. New centers are being founded and funded whose mandate is to translate basic research into products directly benefiting humanity. The NIH, the largest biomedical research agency in the world, has also embraced a new National Center for Advancing Translational Research. The director of the NIH, Francis Collins, has not tired of pointing out the exciting advances in discovering new drugs which would be made possible by harnessing data from the human genome project. Not surprisingly, the press has eagerly jumped on the bandwagon, with reports pitching translational research and personalized medicine regularly appearing in the nation's leading papers. Echoing leading scientists, the press seems to be telling us that we should all look forward to supporting translational research in its various guises. All this makes the idea of translational research sound promising. And yet there must be a good reason why distinguished Nobel Prize winners like Chalfie and Steitz bristle at the mention of translational research. The reason is actually not too hard to discern. The problem is not with applied research per se. Nobody can doubt that applied research especially done by the pharmaceutical and biotechnology industries has saved innumerable lives in the last one hundred years. As Pasteur said, "there is science and the applications of science", and he saw them lying on a continuum. No, there is nothing wrong with trying to turn basic ideas into applied products. The first problem is that history is not really on the side of translational research. Most inventions and practical applications of science and technology which we take for granted have come not from people sitting in a room trying to invent new things but as fortuitous offshoots of curiosity-driven research- the kind that Chalfie and Steitz have dedicated their lives to. Penicillin was discovered through serendipity by a most alert Alexander Fleming who was trying to plate bacterial cultures, not one trying to actually discover the next breakthrough antibiotic. Nuclear Magnetic Resonance was discovered by physicists who were tinkering with atoms in magnetic fields, not ones who were trying to find a method for determining the structures of organic and biological molecules. The discovery of most drugs built upon basic discoveries about human physiology and anatomy made by physicians and researchers who were simply trying to find more about how the body works. The new class of drugs inhibiting protein kinases for instance ultimately owe their development to the discovery of phosphorylation, a fundamental discovery by this year's Lindau attendee Edmond Fischer that was a result of purely basic scientific thinking about how chemical signals are communicated by cells. Similarly, Steitz's ribosome and Chalfie's green fluorescent protein are lending themselves to drug discovery and medical advances in ways which they never planned. If the history of science teaches us anything, it is that curiosity-driven basic research has paid the highest dividends in terms of practical inventions and advances. Tinkering, somewhat aimless but enthusiastic exploration of biological and physical systems and following one's nose have been the ingredients for some of the key inventions that have transformed our lives. Radar, computers, drugs, detergents, plastics and microwave ovens were all made possible not because someone sat down and tried to discover them but because they arose as fortuitous consequences of elemental, pure research. The hype of translational research not only deflects attention from curiosity-driven basic research but also creates the illusion that asking people to discover new things is the best way to generate new ideas. In fact, trying to discover new things by forcing people to discover them will only siphon off funds from those who have the actual capability of discovering these things. The second more practical but equally important problem with translational research is that it puts the cart before the horse. First come the ideas, then come the applications. There is nothing fundamentally wrong with trying to build a focused institute to discover a drug, say, for schizophrenia. But doing this when most of the basic neuropharmacology, biochemistry and genetics of schizophrenia is unknown is a great diversion of focus and funds. Before we can apply basic knowledge, let's first make sure that the knowledge exists. Efforts based on incomplete knowledge would only result in a great squandering of manpower, intellectual and financial resources. Such misapplication of resources seems to be the major problem for instance with a new center for drug discovery that the NIH plans to establish. The NIH seeks to channel the new-found data on the human genome to discover new drugs for personalized medicine. This is a laudable goal, but the problem is that we still have miles to go before we truly understand the basic implications of genomic data. It is only recently that we have started to become aware of the "post-genomic" universe of epigenetics and signal transduction. We have barely started to scratch the surface of the myriad ways in which genomic sequences are massaged and manipulated to produce the complex set of physiological events involved in disease and health. Ultimately, the importance of basic research goes back to what Robert Wilson said to Congress. It has to do with the same reasons that we created the Mona Lisa, painted the Sistine Chapel, built Chartres Cathedral, wrote The Love Song of J. Alfred Prufrock and composed the Goldberg Variations. Da Vinci, Michelangelo, T. S. Eliot and Bach were all trying to find the essence of man's soul and his relationship with the universe and with his fellow men. So were Einstein, Newton, Faraday and Darwin. They were not trying to invent a better mousetrap, but the world did beat a path to their door. Similarly, once our basic understanding of biological systems is firmly in place, translation will willingly follow. The next researcher, when asked to comment on the relevance of his or her basic studies in cell biology to translational research, should echo Wilson: "It has nothing to do directly with translational research, except to enable it". He was an oncologist, and was commenting that most of the cases he saw that were fairly well resolved to everyone's relief were caught early, not brought about by heroic and ingenuous application of various treatments and experimental protocols. Of course, this is probably not what most people want to hear - they want to be reassured that there's always a silver bullet that will work even up to walking through death's door. Having said that, I think efforts to encourage discussion, debate, and even collaboration across boundaries is a fine idea. But that does not translate into setting up, to use your example, an institute to cure schizophrenia. Get, for example, medicinal chemists, neuroscientists, psychiatrists, and others talking and open up the lines of dialogue across the lab/clinic interface. But as you rightfully observed, you can't get them to focus on schizophrenia until there's been a lot more fundamental work under their collective belts. My inner nitpicker wants to say this - there's also some fine basic work done in national labs, especially of the more methods-oriented nature. (NMR at NIH over the years, for one. And the x-ray and neutron beamlines at various facilities.) And it used to be that even the physical sciences were slightly better supported in the private sector (like a number of chemistry departments, my graduate alma mater had a former Bell Labs researcher running around). I profoundly agree with you. In my country (Argentina) "translationism" is mainly supported by a view point of the science held by politicians, and is spread in science by researchers eager to get financial support. What I dislike of this point of view is that it creates the incongruous idea that basic and applied research are opposed to one other, that basic researchers are the enemies of development, as if they were lazy people unwilling to apply what they really know to solve real problems. Also I'd like to mention a great example of basic research that had a tremendous impact in the applied field. It is the development of hybridoma cell lines and monoclonal antibodies, a basic research conducted in England by another Nobel laurate, Cesar Milstein. Would it be a translational development, today the applicability of this technology would be restricted by a millionaire patent. Thanks to minds that were only focused on understanding nature, this technology is an inheritance for humanity.